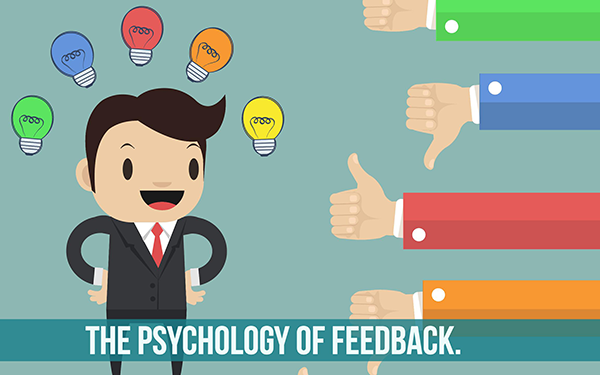 Students need to absorb so much information in a short time and deliver a good performance on evaluations. But it’s not always that easy to just retrieve all the information or to remember everything. Of course, you can help your students remember and retrieve learning materials by teaching them the most effective learning techniques. I wrote a blog post about those learning techniques last year, and I’m writing a blog posts series about the topic again. 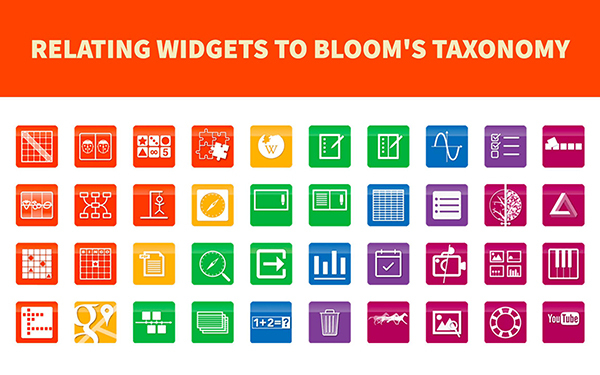 For each learning technique, I’m giving you an explicit lesson idea with BookWidgets. How can you design your lessons, so that students will remember it and have fun doing so? The BookWidgets library has over 40 creative exercises templates, and some of them can be used to support the most effective learning strategies. I’ll give you my lesson ideas in 6 separate blog posts: one for each learning technique. Take a look at the first blog post regarding “spaced practice” here. (Download the retrieval practice poster here). 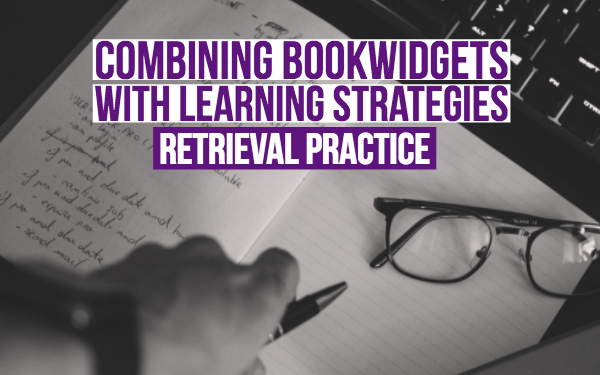 Retrieval practice is all about bringing back your knowledge about a topic, whithout peaking. Let students put away their class materials and let them write or sketch everything they know. They have to be as thorough as possible. Afterwards, they have to check their class materials for accuracy and important links they missed. They have to take a lot of practice tests as well. As many as they can. As a teacher, you can provide those tests, but your students can make their own tests and share them with each other as well. It’s also important for students to link topics to each other and find the connection between them. The Whiteboard widget gives students the opportunity to sketch, draw and type down whatever they still know about the previous lesson. You can ask your students to look at their class material afterwards and use another colour to complement the whiteboard with things they have forgotten. Take a look at the example below. Here, the teacher gives the students already a hint: the image off a cell. Students have to write down everything they know about this image or topic. With the split whiteboard, a teacher can give some structure for their students' thoughts. Ask some broad questions about the lesson material, and give your students something to guide their thinking. Flash cards are the best to retrieve knowledge about concepts, translations, images,… Just make sure your students go beyond definitions by thinking of links between everything. 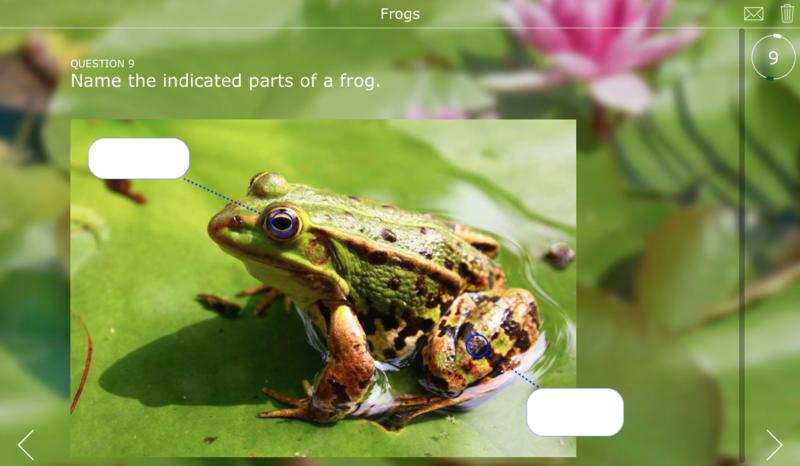 With the flashcard widget, students can use the practise mode and indicate which card they had wrong. This way, students will get flashcards they had wrong more often. In a mind map, the teacher gives the student a topic to start from. Then, the students map out everything they know about the topic, and draw the connections between the concepts. After checking their class materials, the students can add other connections to their mind map in a different box color or form. Check out this example below about “The Enlightenment”. All the red boxes are the things the student had to add after looking at his class material. I’m sure they won’t forget it twice. As “retrieval practice” suggests, students have to take as many tests possible. Create little quizzes about the class material and share them with your students. You can also gather all those quizzes in one place: the webquest widget. Use different question types to test your students in every possible way. It makes them see the learning material in different ways, which is important! Otherwise, students are focusing more on the question, rather than on the content. You could see the exit slip widget as a little one-question practice test. Use the exit slip at the beginning of a lesson to ask your students to write down everything they know about a certain topic from the previous lesson. You can also use the exit slip immediately after the lesson ends to check if students “got” everything. Students can use the emoji’s to indicate for themselves how much they still know about the lesson, or how well they understood the new learning material. Let students pen down everything they can remember of the class material. Then let them look at their class materials and complete their notes with a different color. 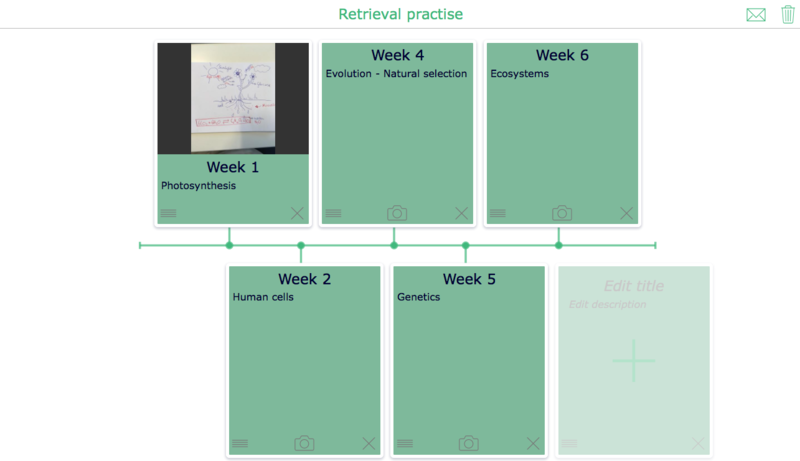 Create a timeline widget in which students have to upload a picture of their retrieval practice every day or week. At the end of the timeline, students will notice that their notes have less color, which is great! This means they can remember more and more and more, until they can retrieve everything! In this example below, the teacher gives the students already some structure by handing them some broad concepts. I already added 1 picture of a student’s notes, so you get the widget’s purpose. Now, students just have to write down what they know in the timeline widget themselves, or add a picture of their notes. 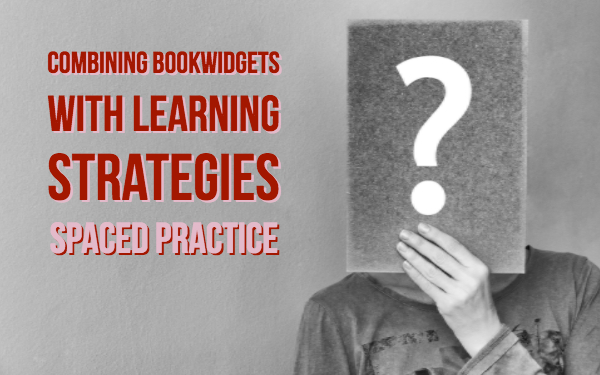 These were my BookWidgets tips to combine widgets with learning strategies. I hope I’ve inspired you to teach your students retrieval practice so they can learn more effectively. 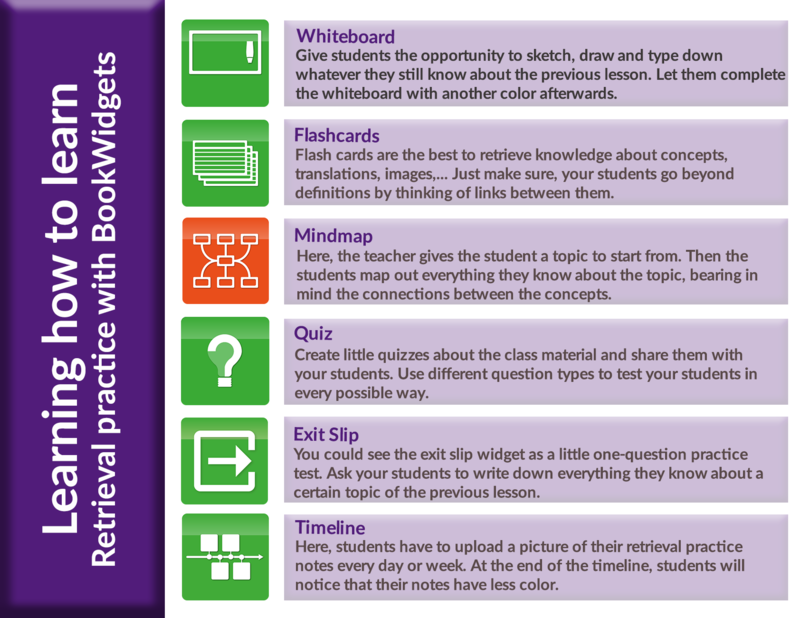 Are you using other widget to teach retrieval practice? Let us know!